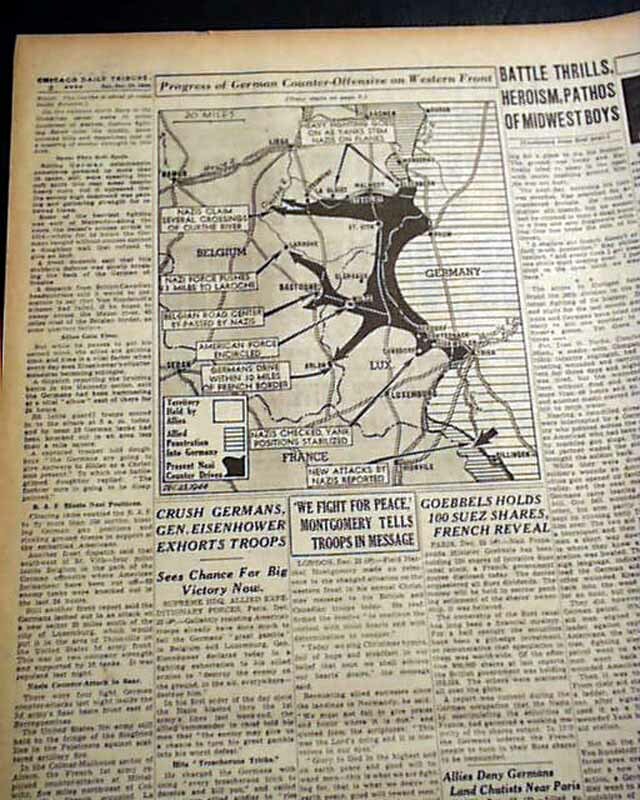 "[GERMANS] ACROSS LUXEMBURG! 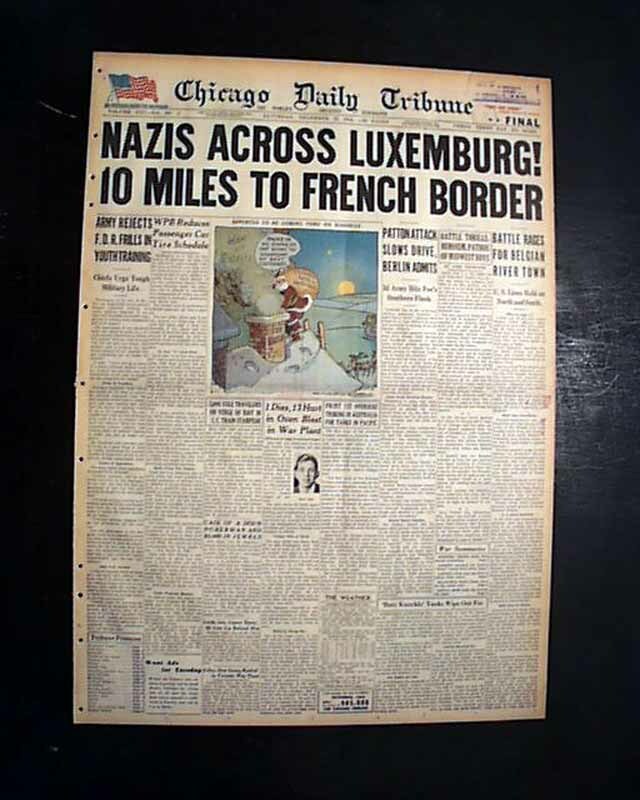 (sic); 10 MILES TO FRENCH BORDER" with subheads. Nice for display. 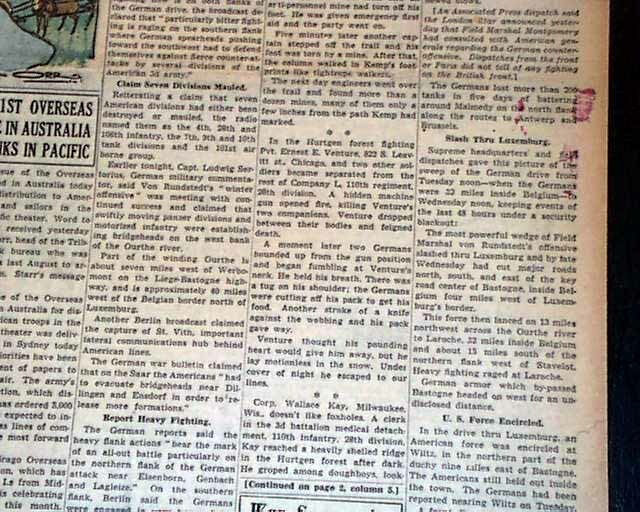 More on pages 2 & 3 with related map. 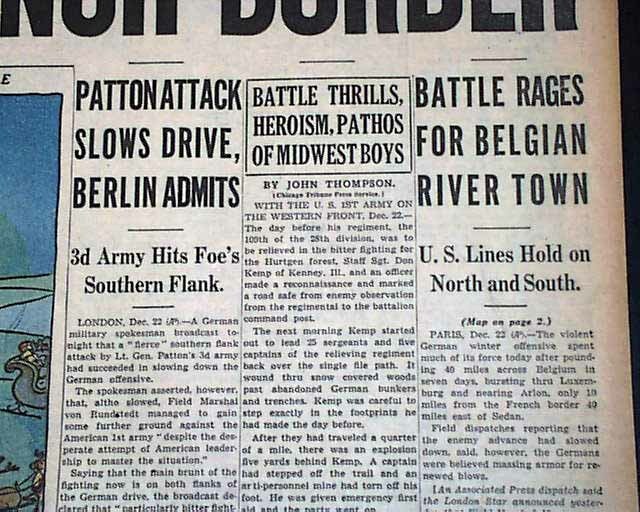 Coverage near the beginning of the famous Battle of the Bulge. Complete with all 20 pages, light toning at the margins, small library stamp within the masthead, small binding holes along the spine, generally nice.